India 353 and 5-262 (Virat Kohli 51*, MS Dhoni 48*, Jeetan Patel 3-68) beat New Zealand 365 and 248 (James Franklin 41, Ross Taylor 35, Ravichandran Ashwin 5-69) by five wickets. New Zealand scored 365 runs in the first innings followed by 248 in the second. India posted on board 353 runs in their first innings and achieved the target of 261 runs by smashing 262 with five wickets in hand in the second. Virat Kohli (India) was declared ‘Player of the match’ for his outstanding batting. 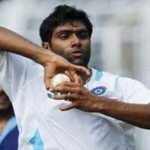 Ravichandran Ashwin (India) was declared ‘Player of the series’ as he was the star performer with the ball by grabbing 18 wickets at an excellent average of 13.11 runs per wicket with the best of 6-31 in an innings and 12-85 in a match. 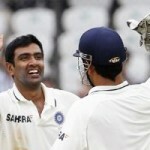 The second and final Test came to an end on Monday, September 3, 2012, at M Chinnaswamy Stadium, Bangalore. Earlier, New Zealand initiated the fourth day at 9-232 in 69 overs and added another 16 runs to the total before their last batsmen, Jeetan Patel, was gone for 22. The visitors earned an overall lead of 260 runs and set a target of 261 for the home side to win the match. Ravichandran Ashwin was the highest wicket taker with five, Umesh Yadav and Pragyan Ojha held two wickets each as Zaheer Khan got one wicket. India had a great start of their second innings with their openers, Gautam Gambhir and Virender Sehwag who collected 29 runs in the first five overs. The boundaries were sprinkling from the willows of the batsmen and Gambhir sent the ball four times out of the boundary in the 7th and 8th over. The hosts rushed to 50 after eight overs as Sehwag opened his arms with 3 fours in the 10th over and scored another 10 runs on the first two balls of the 12th over with 1 six and 1 four. He was clean bowled on the fifth ball by Jeetan Patel for 38 off 33 balls with 1 six and 7 fours. The first wicket fell at 77 and Gautam Gambhir was gone six runs later for 34 runs when Cheteshwar Pujara and the little master, Sachin Tendulkar, got together in the centre. They crept to 94 in 24 overs as Pujara gathered 12 runs in the next over with a couple of fours and added another two in the 28th over. Tendulkar once again played a subdued innings, managed just nine runs in the first 24 balls he faced but dispatched two consecutive fours in the 33rd over which was the last over before tea interval. The duo enhanced the score to 152 when the timber of Sachin Tendulkar was dislodged by Tim Southee for 27 runs. The home side faced a mini collapse and they were reeling at 5-166 as the Kiwi bowlers came back in the match superbly. Cheteshwar Pujara lost his wicket for 48 and the stumps of Suresh Raina were uprooted by Patel for a duck. The batsmen in form Virat Kohli and MS Dhoni stopped the invasion of the rival bowlers with their sensitive batting. They kept the score board moving, the latter hit a six in the 48th over and the second hundred of the innings appeared on board in the 52nd over. Kohli cut loose and the boundaries started flowing from his bat at regular intervals. He achieved his fifty in the 63rd over while sending the ball out of the rope thrice in the over. Dhoni hit 10 runs on the first two balls of the following over with 1 six and 1 four and the target was attained by thrashing 262 runs for the loss of five wickets. Virat Kohli remained unbeaten for 51 off 82 balls with 9 fours and MS Dhoni occupied his crease by scoring 48 from 60 deliveries comprising 2 sixes and 3 fours. 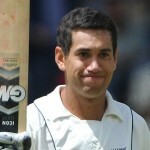 Jeetan Patel was the most successful bowler with three wickets whereas Trent Boult and Tim Southee shared one wicket each. 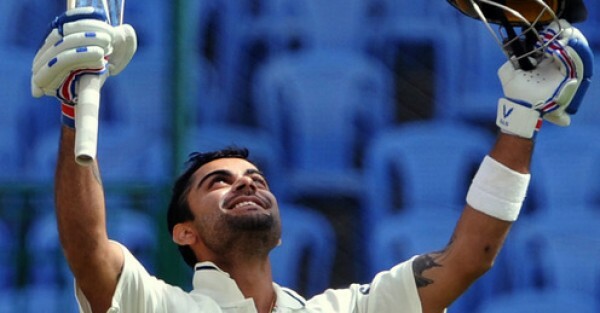 India won the match comfortably in the end with a margin of five wickets and lifted the two Test series 2-0.